If you own a home with a large yard, consider planting new trees. The advantages of having an array of trees in your yard are abundant. They reduce the amount of carbon dioxide in the air while producing oxygen and clean air, they provide homes for songbirds and other types of wildlife, they cool your home and yard by blocking sun and they warm your home by blocking harsh winds, and according to Management Information Services, mature trees can increase your property value by up to 20 percent! The beauty of it is, even if you don’t want to be digging in dirt, pulling weeds and watering gardens every other day, with trees, you plant and you’re done! Sure, they might need your watering assistance at first and during dry sprouts, but usually the rain will be adequate enough once the tree grows long roots. Therefore, planting trees is pretty much a win-win situation. •	Maple trees come in huge variety of options, but they all grow fast and are tolerant in most soils. Eventually, the maples will grow 40 to 75 feet high and spread out 40 to 50 feet, making these ideal shade trees. 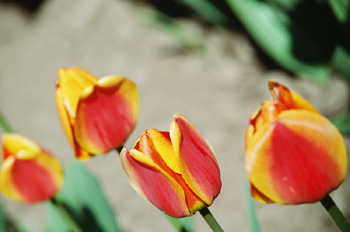 They also spruce up your yard year-round with spring flower buds, lush summer leaves and bright fall colors. •	Oak trees are available in possibly more types than any other tree, but no matter what type you choose, the tree will grow tall and wide and will make an ideal shade tree. These long-lived trees tend to grow slowly, but that depends on the type you choose. Most grow 60 to 70 feet high and 60 to 70 feet wide. They too portray white flower buds in the spring and bright yellow colors in the fall. •	Dogwood trees are either small and rounded, looking more like a bush, or they are skinny and somewhat tall. They provide flowers and glossy-red fruit popular with birds, they grow in most soils, they portray deep fall colors and they only reach 10 to 25 feet in height and width. These trees work well in smaller yards. •	Crabapple trees radiate eye-catching beauty year-round with abundant clusters of spring flowers buds, and dark green, dense foliage with bright red berries in summer. Wildlife loves these trees, which prefer moist soils but will grow in dry soils. These trees grow six to 20 feet high and wide at a medium speed. •	Cherry trees not only provide abundant shade and colorful spring blossoms, but they also supply you with an abundance of ripe cherries to enjoy all summer long! These trees reach 12 to 35 feet high, and 12 to 25 feet wide. The type of cherries you will consume depends on the type of cherry tree you choose. These grow at a medium speed and in various types of soil. •	Apple trees also provide you with an abundance of ripe, juicy fruit in the early or late autumn months. These trees need plentiful sunshine and water, and they grow quickly. They grow from 10 to 25 feet high and wide, depending on the type you choose. When choosing a type, decide what kind of apple is your favorite! •	Cypress trees are ideal for the southern and western regions, because they are very tolerant to high heat and drought. The yearlong, soft gray-green foliage is ideal for stopping wind and erosion, and they can also be decorated at Christmas time because of their pyramidal, evergreen shape. •	Fir trees are also in the evergreen family, which are ideal trees for yearlong color since they never lose their foliage! These pyramid-shaped trees grow up to 100 feet high and 20 feet wide, depending on the type you choose. They portray silvery blue-green foliage and are tolerant to most soils and drought areas. •	Because pine trees come in so many varieties, you could definitely find one ideal for your location! These evergreen trees are more full and oval-shaped than other types of evergreen, and they grow up to 80 feet high and 40 feet wide, depending on the type you choose. These hardy trees will grow in almost any climate or soil. •	Spruce trees grow more quickly than other types of evergreens, and these pyramidal shaped trees show off long, graceful branches full of dark green needles year-round. They mature up to 75 feet high and 25 feet wide, making them great windbreakers. Spruces are also tolerant to most soils and locations. For more assistance in choosing a tree that is right for your location, your type of soil and your size yard, visit the Arbor Day Foundation website. After you plant your new trees, on special occasions, you can snap photos next to the blossoming buds or the deep fall colors. In the winter, you can decorate your trees for the holidays. Every day, you can admire the seasonal changes and the increased wildlife from your window or from your outdoor patio. Enjoy! 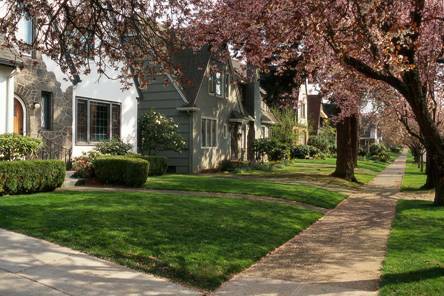 Spring means spring cleaning, especially when you’re selling a home. Welcome to Part 2 of our series on spring-cleaning suggestions! Depersonalize every room. The winter holidays tend to leave our home’s looking like a giant scrapbook. Enough time has passed to now recycle your saved stash of Hallmark cards, to organize the family photos into a photo album for the shelf and to store the newly framed photos into a box for your next house. 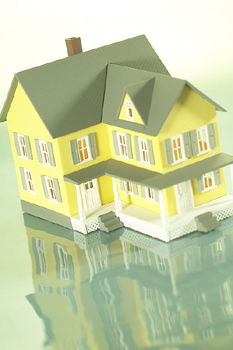 You want the house to appear homey, but you also want the potential homebuyers to imagine themselves living there. That’s hard to do when your family and friend’s faces are smiling back at them. Instead, substitute your personal attributes with pictures of your house in other seasons, or with neutral photography or artwork. Clear your kitchen counters of everything and give them a thorough cleaning with eco-friendly cleaners or just vinegar and water. Our kitchens tend to overfill with comfort foods during the winter months that most of us probably wouldn’t mind tossing now that tank top and shorts season is right around the corner! After you clean the counters, clean each individual appliance as you place them back where they belong back. Toss the stale cookies or leftover fruitcake that you just aren’t going to ever eat. Disinfect everything. Using an eco-friendly spray cleaner or anti-bacterial wipes, clean all door handles, sink faucets, light switches, and any object that multiple hands grasp on an average day. Though this isn’t a visually obvious change, it’ll keep you and your family healthier during this potentially stressful time, and it won’t spread the germs of potential homebuyers that walk through your house. Rid your home of all odors. Using a scentless cleaner, spray all of your carpeting, furniture, toys, throw rugs, pillows or anywhere that an odor could easily linger. Give your pets a thorough cleaning, wash all of your bedding and switch all of your towels for new, clean towels. Start taking the garbage out more often. Consider adding air fresheners as long as they don’t cause allergies and are not an overbearing scent. Now that the seasonal work is complete, it’s time to return to the routine of dusting and vacuuming. Keep up with these chores on a weekly basis so that your house looks ready for whenever a potential homebuyer decides to pop in. Lift objects off of shelves and counters instead of dusting around them. Vacuum under objects too. Dust the top of fans and the blinds. Clean surfaces with eco-friendly cleaners. Scrub showers and toilets free of stains, even if they are just water spots. Wash the kitchen table after every meal. Make your house look as spotless as ever! Not only will these spring cleaning suggestions help to make a positive impression on potential homebuyers, but they will also make your day-to-day living healthier and more pleasant while you wait for a sale. If you’re the type to need an excuse to clean, here it is. It’s spring! What does that mean for your decorating? Out with the old, dark, heavy and dreary, and in with the new, bright, light and cheery! The general idea behind decorating for spring is to rid your interior of access blankets, rugs, wintery decorations and heavy curtains that block the wind. Substitute these items with ample hardwood or tile flooring, vases filled with bright flowers and light, lacey curtains. Add brightness to every room with at least one pastel-colored accessory. This could include real or artificial flowers, a bright vase, a slipcover, pillow shams, curtains, tablecloths, artwork, picture frames, rugs or anything you prefer! Incorporate spring scents into your house. While one option is to just open the windows and let the aromas of rain and renewed grass float in, allergies might cause you to choose a different option, such as scented candles and air fresheners. Choose scents like rain, honeysuckle, lilac or lavender. To avoid allergic reactions to flowers, decorate your stairway railing or fireplace mantel with bundles or tissue paper flowers. These are easy to make, emit an artsy ambiance, come in any color and cause no allergic reactions! Choose a color scheme for your décor, such as aqua and peach, or yellow, orange and lime green, and then decorate with an abundance of different patterns that match your choice of colors. This Bohemian-style of décor adds visual interest. Start saving empty water bottles, soda cans or milk cartons to use as planting pots. Stylize these containers with brightly colored stickers, paint or lace. Fill them with dirt and add an assortment of herbs, vegetables or flowers. Place them on windowsills until it is warm enough to replant them outside. Decorate the outdoors by hanging a colorful spring wreath, an Easter bunny or a brightly colored bow to the outside of your front door. Dig the outdoor furniture out of the shed, clean and place back on the porch. Hang attractive bird houses and feeders in the trees. Hang a spring flag, such as the logo of a baseball team. Purchase some spring magazines with themes such as gardening, spring cleaning, healthy eating and getting into shape. These magazines tend to display bright, cheery colors that every guest will want to pick up and read. According to fashion experts, the color for 2010 is turquoise. Use this color liberally to decorate your interior. It pairs well with yellows, browns and pinks. 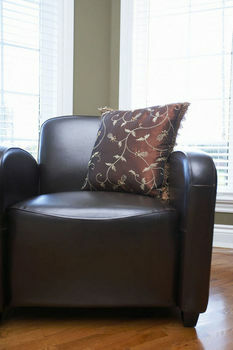 Looking ahead to summer 2010, start decorating now with gold, bronze and other warm, metallic colors. As far as patterns, fashion experts boldly state that patterns are in, whether they are floral, striped or abstract. Other fashion statements to be seen this spring include oversized bows, sheer and see-through fabrics, futuristic/metallic accessories, leather, metal, military and tribal patterns and more. Basically, anything goes this spring. 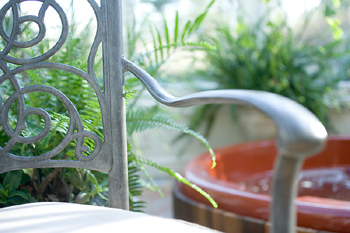 To read our spring decorating tips from 2009, which could also work for 2010, click here. “After polling builder communities in North Carolina, Virginia, Florida, Texas and California’s Inland Empire, Ticonderoga Securities Analyst Stephen East says the spring home-selling scene is coming along nicely. There is no better time to tool around Tampa than during the spring! As always, Buy Owner has the inside scoop on the happenings around town. 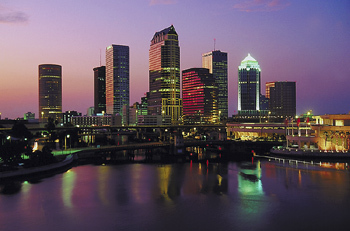 • OUTDOOR EVENTS allow you to get out in the sunshine and experience all that Tampa has to offer! Island Fest: The theme of Island Fest is called “Land, Air & Sea!” Bring everyone together for free airplane rides, youth sailing demonstrations, live entertainment and art/vendor exhibitions! There are also plenty of food and drink stands to keep you going throughout the day. This event takes place on Saturday, April 18. Taste of New Tampa: The 16th Annual Taste of New Tampa is being held on Sunday, April 19, from 1 to 4 p.m. It’s a Health and Business Expo coupled with the Taste of Local Area Restaurants to raise money for local charities. Local area restaurants come together with the local business and medical professionals to raise money for local children’s charities. On the day of the event, adults pay $15, children over the age of five pay $10 and those five and under are free. Visit NewTampa.org for more info. Arthritis Walk: There is plenty of time to frolic around Tampa during the spring. But how about participating in a fun event that raises awareness? The Arthritis Walk is taking place at Al Lopez Park in Tampa on Sunday, May 2. Registration begins at 8 a.m. and the walk starts at 9 a.m. You can choose between a one-mile or three-mile walk route. If you can’t make out to the walk, you can still donate to the cause! • TAMPA SPORTS begin with a bang! Baseball is back! The Tampa Bay Rays had a winning season last year and made it all the way to the World Series. Their upsetting fall to the Philadelphia Phillies should fuel their desire to play hard and get back to the big game this October. The 2008 Rookie of the Year, Evan Longoria, hopes to lead the AL in homeruns and take his team to victory this time around. And just because the hockey season is over for the Tampa Bay Lightning, it doesn’t mean that the fans have to stop supporting the team! You can always volunteer for the organization or buy some of the latest merchandise. • CONCERTS abound in Tampa. But this time around, stay out of the huge indoor venues. Get outside and enjoy the music under starry skies. Here are a few shows taking place at outdoor venues in the Tampa area. Celebrate spring in Tampa! Get out there and enjoy some fun in the sun. Warm weather allows the opportunity to make small, inexpensive but significant green changes to your lifestyle. Gladly welcome the spring season by incorporating these green contributions into your everyday living! Freshen up your interior by opening the windows. This allows fresh air to fill your rooms and, more importantly, it allows the built-up germs and toxins to leave your air. Cleaning supplies, laundry detergents and even bed sheets cans release chemicals that you’re unaware of! Let your interior air out as often as possible. Spring presents us with longer hours of daylight! Use this gift to its fullest by opening all of the blinds on your windows and doors. Allow natural light to brighten your interior for as long as possible to help save energy. Spring weather usually remains at an ideal, constant temperature while winter diminishes and summer prepares. It allows us to remain comfortable without needing heat or air. Turn your heat and air-conditioning off. There is no better way to decrease energy usage than by using natural temperatures whenever possible. When you begin your spring “de-clutter” cleaning, don’t just toss your unwanted goods. Hand items off to charities or plan a garage sale. Better yet, plan a neighborhood garage sale! Socialize with neighbors while putting your unwanted items to good use. This will save landfill waste, help a charity or put a few extra dollars in your pocket. When it comes time to clean the surfaces of your interior, opt to try green or homemade cleansers that don’t contain dangerous toxins and chemicals. 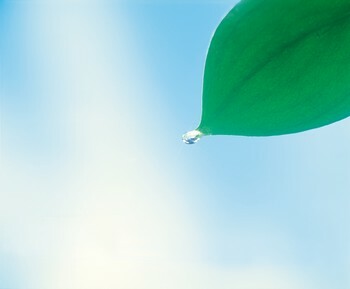 For more information, learn what the top 10 green cleaning supplies are here. Fully enjoy the sensation of seeing the first tree bud or the first flower bloom. Add more foliage to your yard by planting trees and flowers or creating a vegetable garden (link)! Plants cleanse the air and should also be incorporated into your interior. 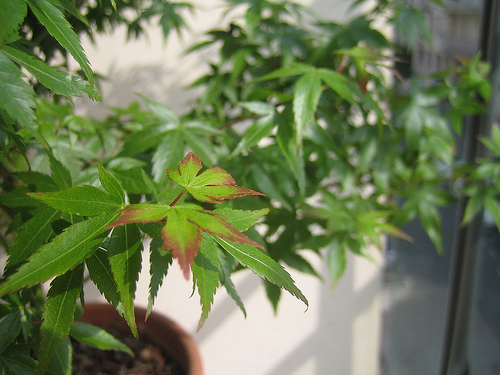 To find easy-care plants for the outside or inside, click here. On warm and sunny days, opt to walk or ride a bike instead of driving. Cars emit an obscene amount of carbon dioxide into the atmosphere, making the air we breathe dangerous. Not only is walking and bicycling better for our air quality, but it’s healthy exercise for our bodies! While you’re walking, head over to your local farmers markets to purchase fresh, locally grown produce! This food naturally contains fewer chemicals than store bought options, and purchasing locally will save the energy of transporting food. Prepare nutrients for your new and old outdoor foliage by creating a compost pile with your food wastes! Compost piles naturally fertilize and condition the soil with an abundance of nutrients! Do some quick research on the simple steps of composting. If you haven’t made the change yet, now is a better time than ever. Recycle. Organize a company to pick up your recycled goods or take the materials to a local recycle bin. If a company already picks up recycled goods in your neighborhood, all you need to do is put the right items in the right bins! It’s simpler than ever.